Fantastic Four #375 | "How Would You Fix...?" 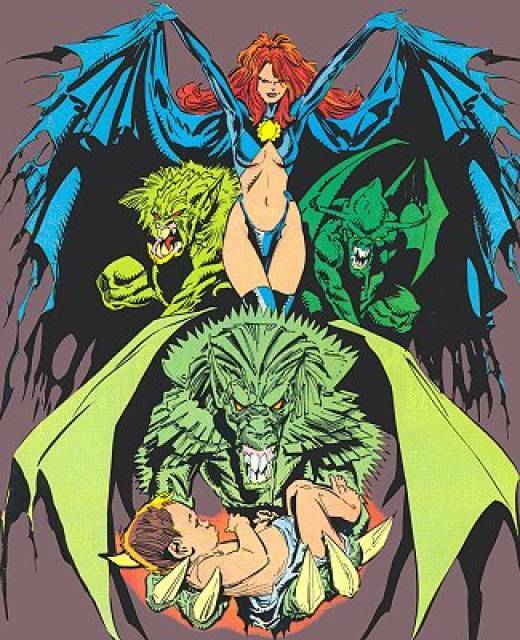 In Chris Claremont’s End of Greys tale the Shi’ar, in an effort to prevent the manifestation of the Phoenix through her descendants, decide to end Rachel Grey’s line by having their Death Commandos slay the entire Grey family (cf. Uncanny X-Men #467-468). 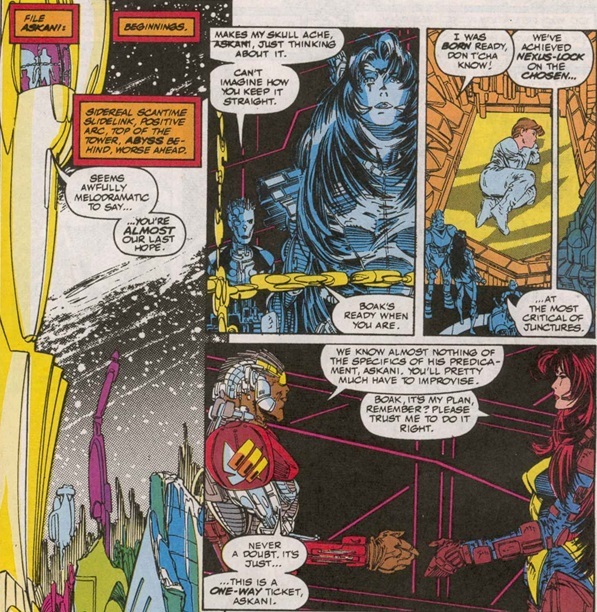 In Uncanny X-Men #468, Rachel wonders why the Shi’ar missed Cable when he’s her carries the genes of her mother’s clone. 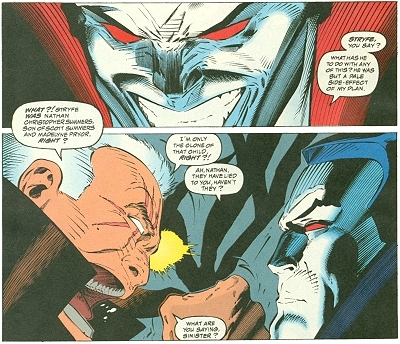 We know the Shi’ar have technology far exceeding anything even Mr. Sinister would possess in determining Cable’s lineage, and yet they choose not to involve him in their purge. 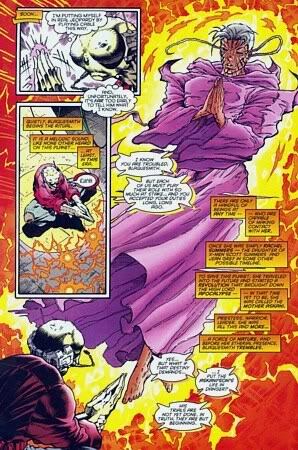 Interestingly Chris Claremont also contended on Comixfan that it was never his intention for Rachel to evolve into “Mother Askani”! So here I am again with a solution, this time for how the Askani aspect of Cable’s origin can be revealed as inaccurate. I’d do this by firstly suggesting that young Nathan Christopher Summers and Cable are not the same being. “Endgame” did happen, and I felt I should make it work, so in line with Fabian et. al., I’d retain the account that young Nathan Christopher Summers was infected by Apocalypse because the Celestial caretaker had been advised that the infant would somehow prevent his ascension. 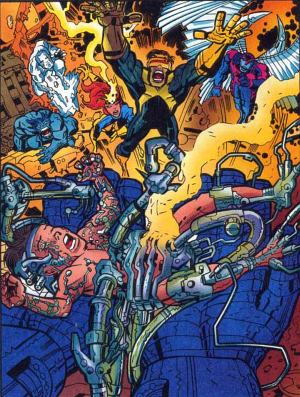 Hence Askani appears on the scene and offers to take him through time to cure him of the infection. 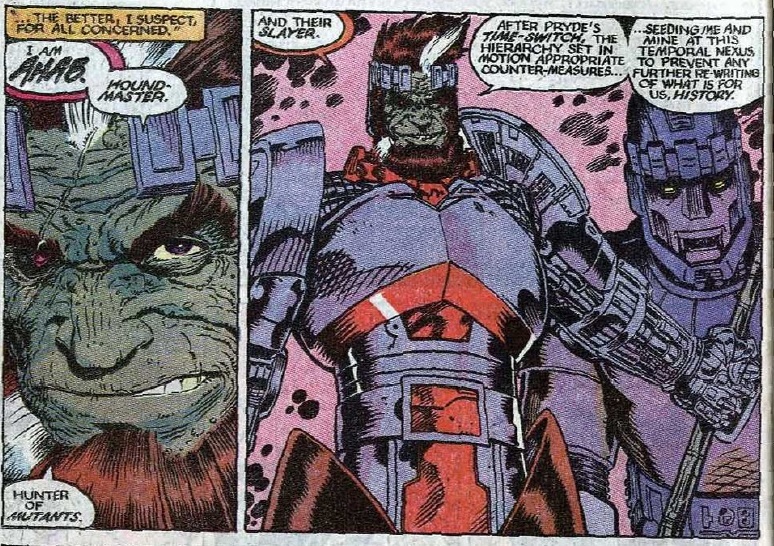 However, in line with Claremont’s contention that Askani might not have been intended to be from 4000 AD, I’d instead reveal Cable was from the alternate world, Warlord’s Earth, where Nathaniel Richards dwelt. 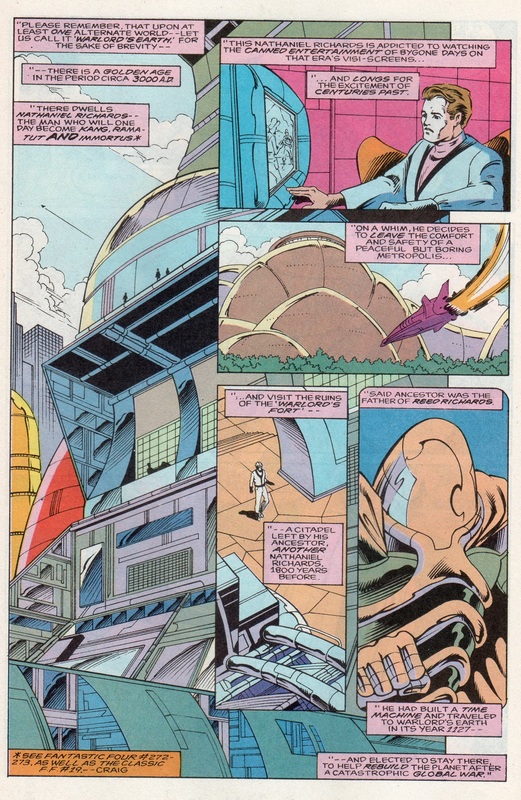 I say alternate world because in X-Factor #67 on page 6, the world that Apocalypse rules (and Askani hails from) is referred to as “Sidereal scantime.” So it’s a SIDE REALITY, as Other Earth is. 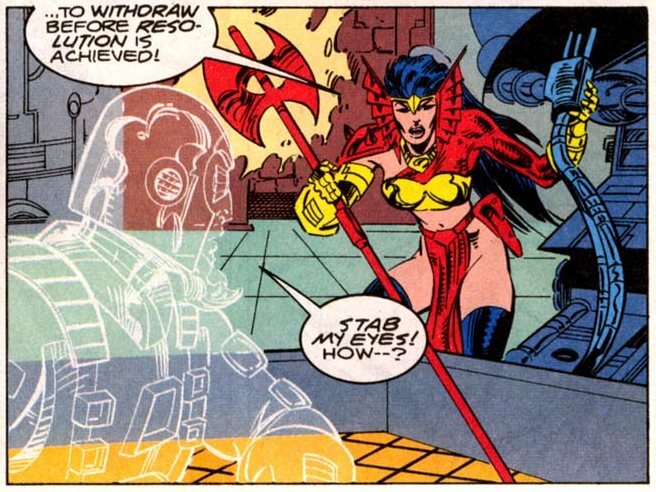 I’d further reveal the Askani Sisterhood as a future version of the matriarchal society of the Eyrie on Warlord’s Earth, as shown by John Byrne in Fantastic Four #273. 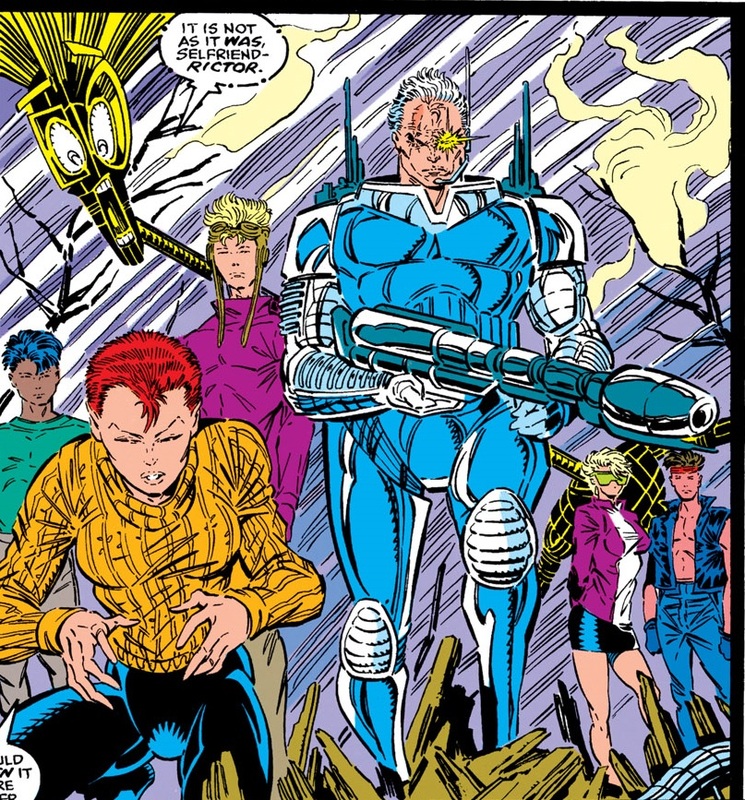 Upon being cured of his techno-organic infection, I’d propose the Askani placed him in the care of this timeline’s Richards clan who are descendants of this timeline’s Franklin Richards and Rachel Grey. 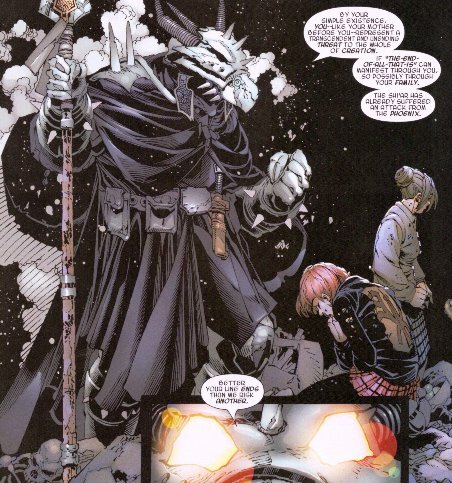 Nathan Christopher Summers is hence raised as a Richards to protect his identity from Clan Akkaba’s spies who will stop at nothing to kill him since he is destined to become Apocalypse’s greatest enemy. 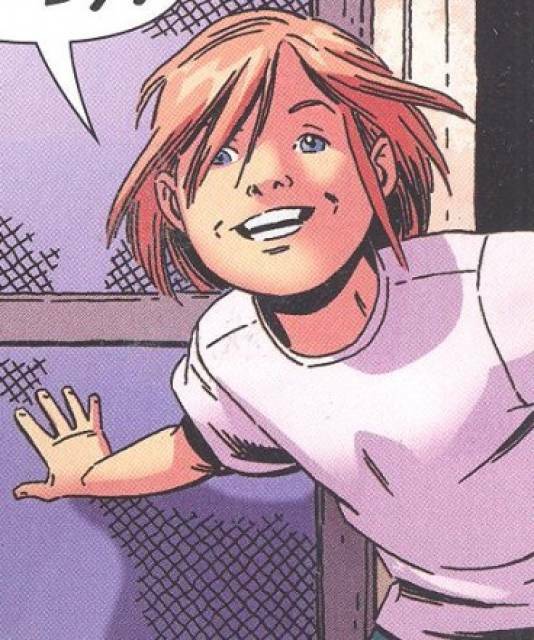 Young Nathan is then secretly trained in the use of his powers, in much the same way 1A trained Magnus the Robot Fighter (but perhaps still ignorant of his true identity). Upon discovering the truth, he embraces his destiny, and travels back in time to become Rama-Tut with the aim of preventing the High Lord from becoming “all-powerful”. 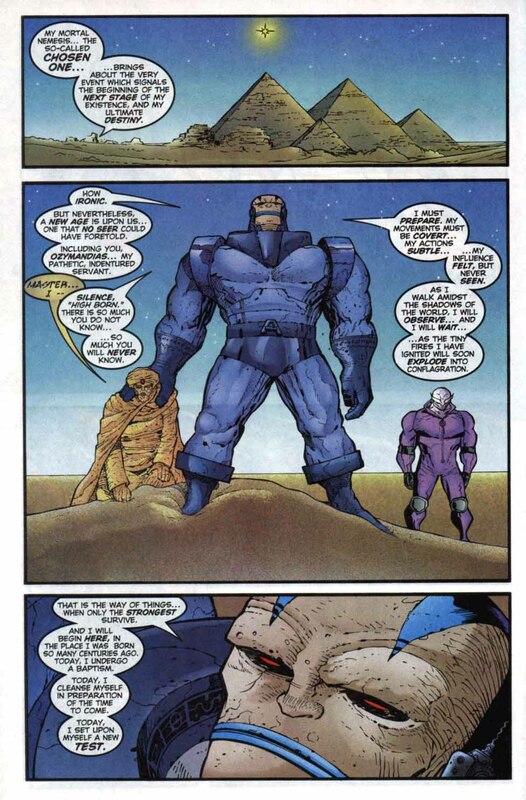 …that prevents Rama-Tut from stopping Apocalypse before he begins his meteoric rise to power. 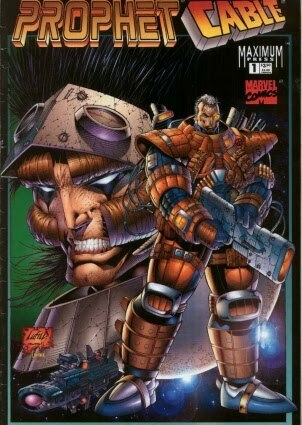 As for Cable’s true identity, around the same time as his introduction there was another character in the Marvel Universe having similar features. 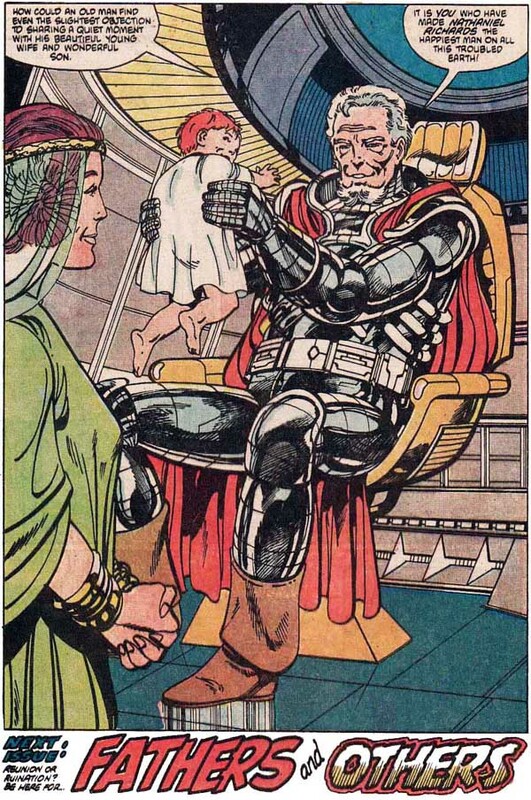 That is, Nathaniel Richards Senior – Reed’s father. 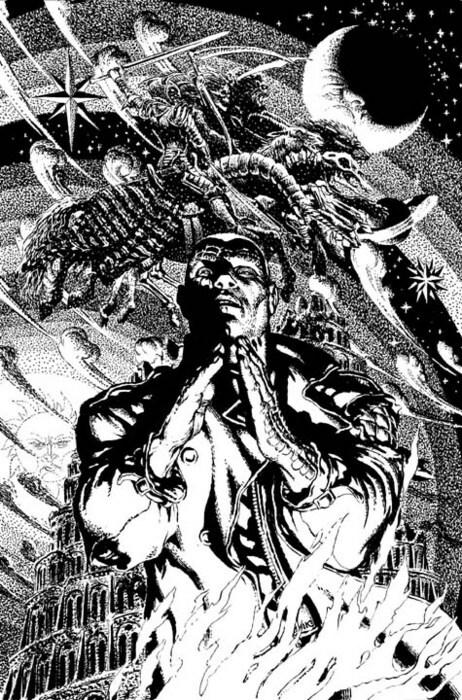 ….which seemed to imply that the reality he raised his grandson in was one where the Askani held sway. 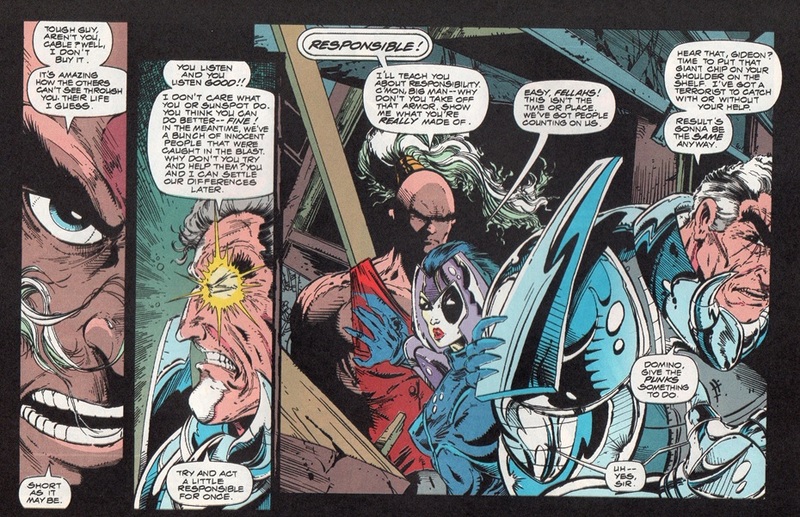 This could further resolve why Cable’s first name is Nathan. 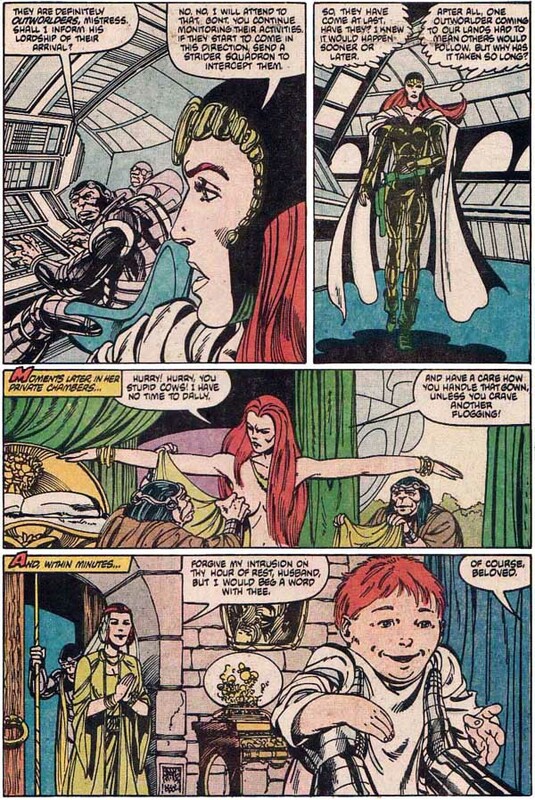 …rather that he is the unnamed son from Nathaniel Richards Senior’s marriage to Cassandra, Warlord of Otherworld. 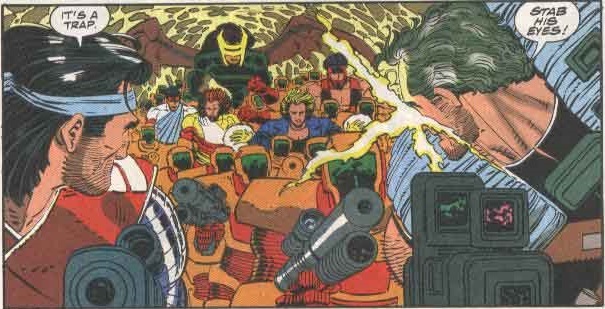 I would posit that Cable’s armour was meant to be psi-armour rather than generic (which could be used in concert with his telekinesis to absorb Juggernaut impacts), and this is the reason it looked so similar to that worn by Richards. 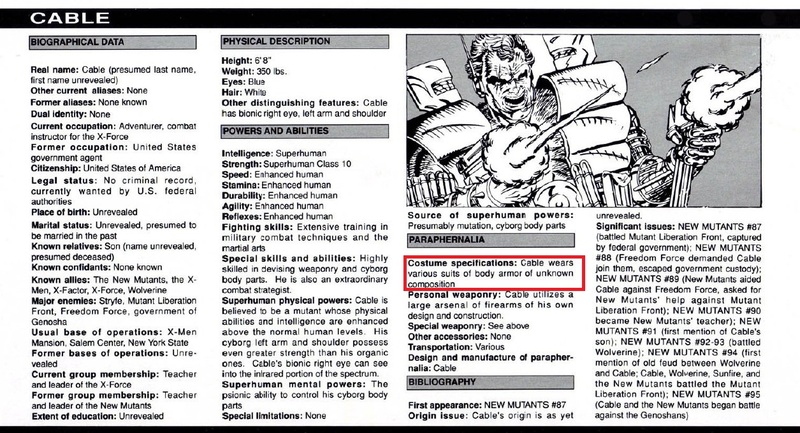 This would further explain why, as stated in Cable’s costume specifications in his Marvel Universe Master Edition #3 entry, the various suits of body armour he wore were of “unknown composition”. 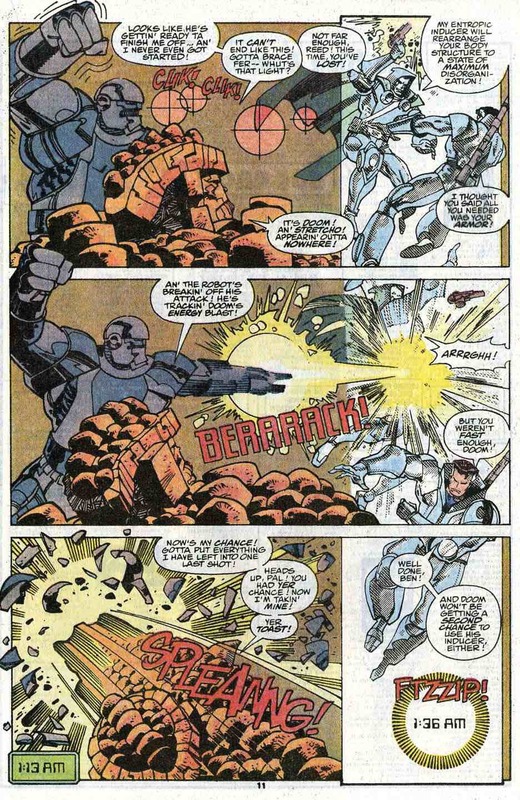 Furthermore, the armour worn by Reed Richards during his “battle-in-time” with Dr. Doom during Fantastic Four #352 was extremely similar to that worn by Nathaniel and Cable. 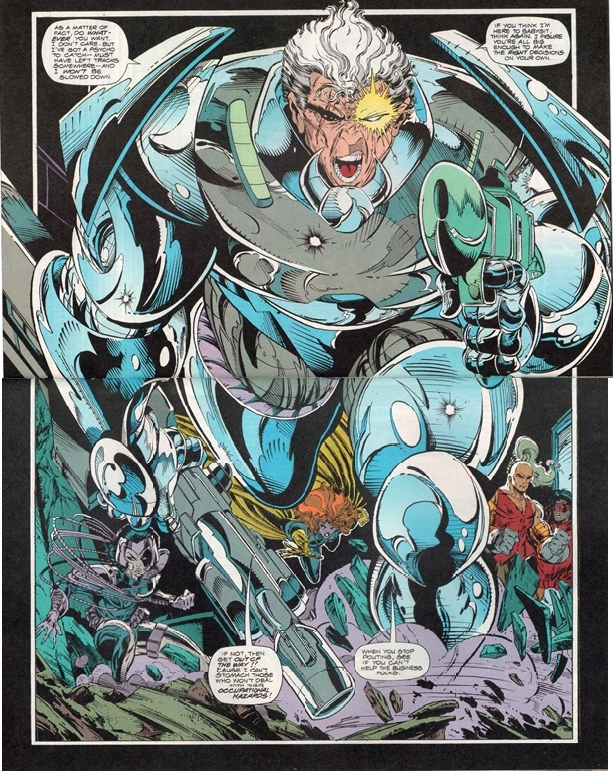 So Cable wears this trademark armour due to his being the son and heir of Nathaniel Richards Senior and a time-traveller like his father, since that would appear to be the function of that worn by both Nathaniel and Reed; and claims affiliation with Cyclops and Nathan Summers as a cover story. 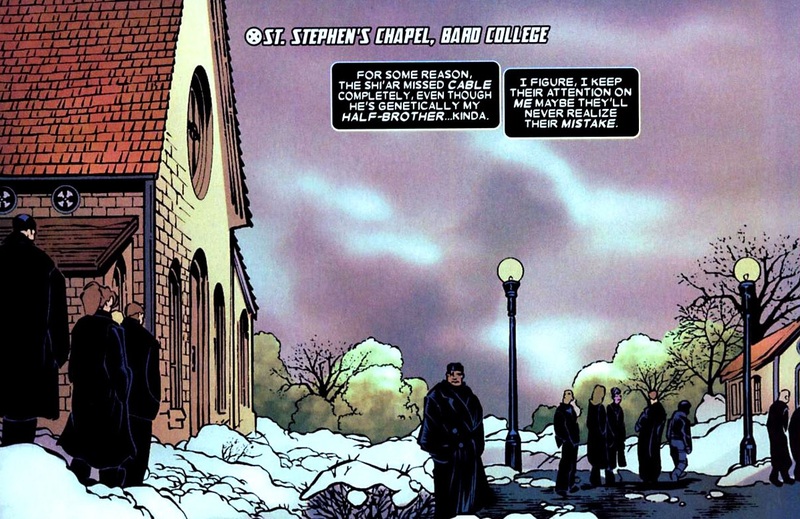 Maybe Nathaniel Senior discovers the destiny of young Nathan Christopher Summers, and raises his and Cassandra’s unnamed son to travel to Earth-616 and begin involving himself in missions that would eventually suggest to Apocalypse that he was in fact young Nate. In this way they could prevent Apocalypse from realising what the Richards Clan were really up to. 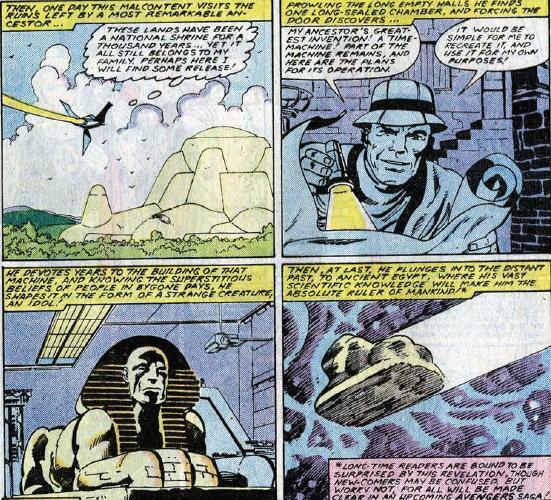 That is, training Nathan Summers to go back in time and prevent his rise as Rama-Tut. 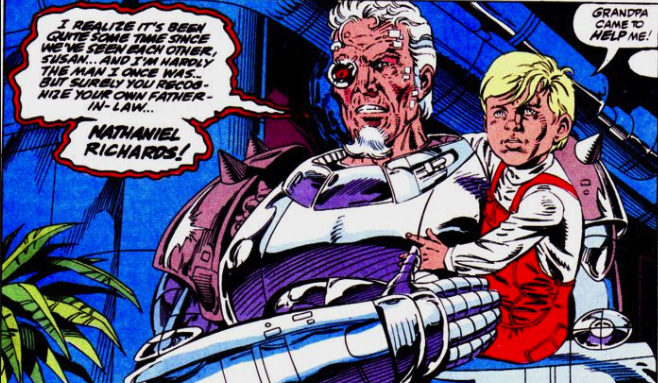 I feel the revelation of Cable being a Richards would also fulfil Rob Liefeld’s plan of his being a technologically advanced time-traveller with a strong science background (since science certainly runs in the Richards family). This is why Reed’s father, at times, appears enigmatic and his occasional machinations seem opposed to the Fantastic Four. Nathaniel Sr. can’t reveal the truth to them for fear that Apocalypse may discover the truth. That and he is still miffed at their interference in preventing Rama-Tut from putting a stop to Apocalypse. 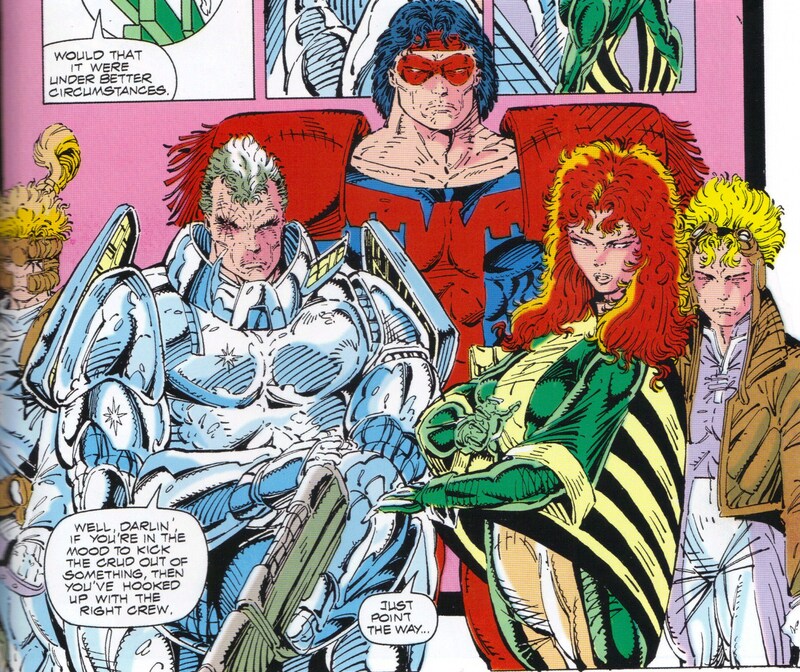 As mentioned above Claremont’s End of Greys storyline puts an end to the argument that Cable is the offspring of Jean Grey’s clone. In addition, it is more likely, as I suggest, that Cable hails from an alternate earth, rather than the far flung future of 4000 AD. Cable can still be a time-traveller and travel from Earth-6311 to Earth-616, as time machines have previously been proven to be able to access both realities. 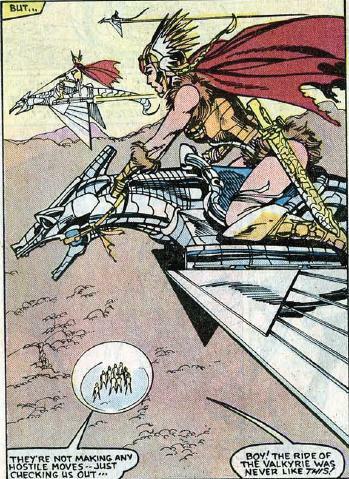 …so Cable would have been prevented from travelling from the future to our era prior to 1990. 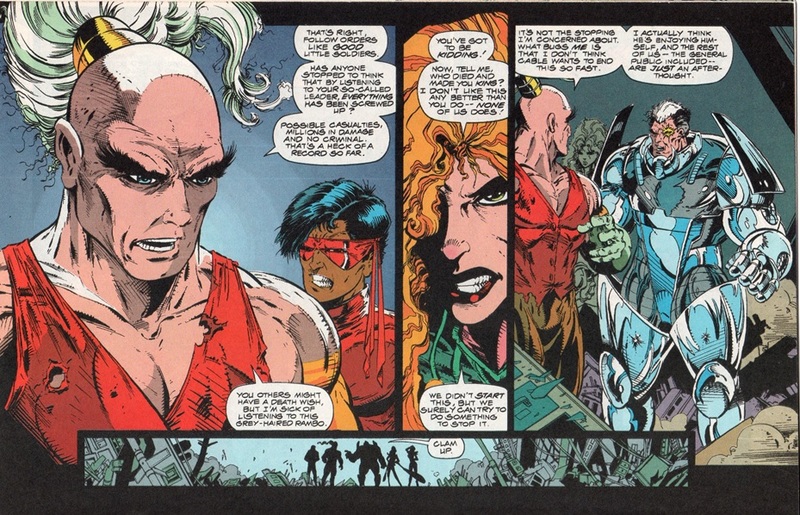 While one could argue that Bishop had done the same, this was only after Claremont had Ahab defeated and Cable had arrived in our era prior to this. 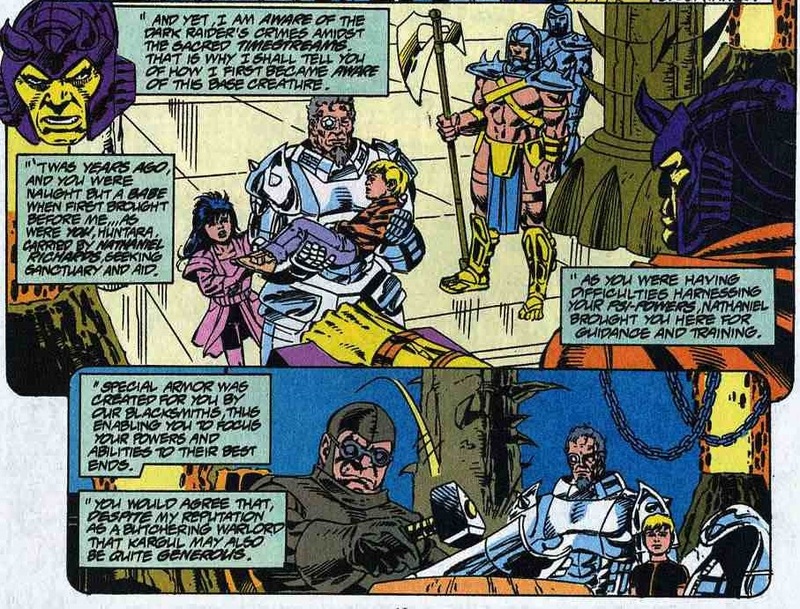 If we maintain Cable was a alternity traveller, this further supports my theory that he did not come from the 4000 AD, but rather the period of Warlord’s Earth that Nathaniel Richards Sr. had settled in (hence my positing above that he is Nathaniel’s other unnamed son, by way of Cassandra). All that’s left to figure out now is how Cable knew the Master of the Hounds, Ahab in Uncanny X-Men Annual #14 (and no I don’t believe the two were originally intended to be the same character and here is my reason why). Postscript: What would make this whole scenario perfect for me is for the Shi’ar to eventually make an attempt on one of the incarnations of Nathaniel Richards Jr., whether that be Rama-Tut, Kang or Immortus.